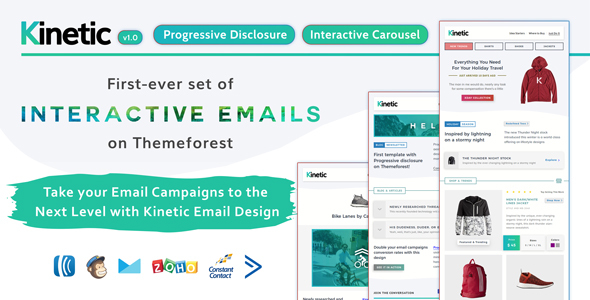 Introducing Kinetic – First ever Interactive Email Templates set on Themeforest! Save and Edit later without any hasle! 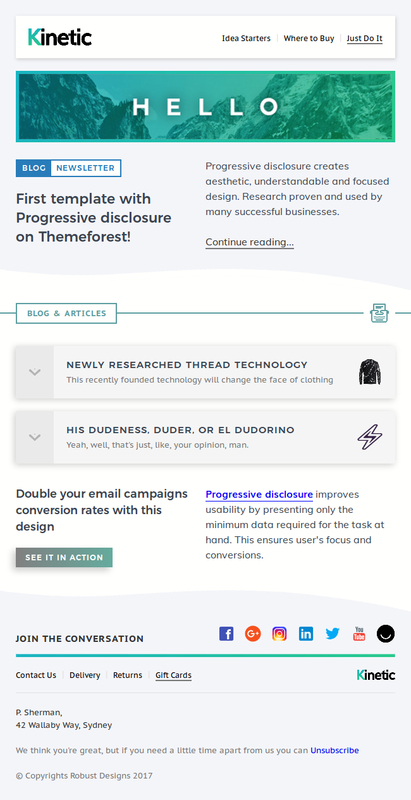 If you need help setting up any template on your email marketing service/website/software, be sure to let us know using the contact form. Email clients that don’t support interactive modules will show fallback modules. 10 November 2017 - Added an all-in-one template file with all kinetic modules in one place. 28 November 2017 - Fixed an issue where the 3 column module would break in Outlook & fixed Gmail message clipping issue. 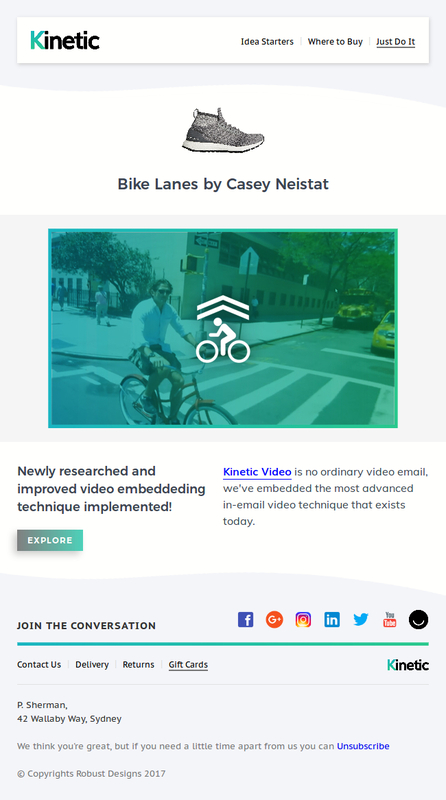 7 January 2018 - Added Mailster support with uploadable zip file and fixed minor HTML issues.